Alliance of Women Directors (AWD) is seeking its first Executive Director, a motivated, highly qualified individual who will lead the organization into its next phase. Operating as an all-volunteer non-profit organization for 20 years, AWD promotes women-identifying directors in film, television, commercials, and new media by providing education and professional support for members in the form of hands-on craft enrichment, mentorship, and education; developing and leveraging relationships with industry partners; and partnering with like-minded organizations to increase our reach and impact. With growth and momentum from the current climate, the Executive Director will be instrumental in crafting plans and successes for the future of our organization and positively impacting the film and television industry. ● Manages and tracks relationships with all donors and prospects. ● Regularly attends AWD events in a leadership capacity. ● Develops, directs, and implements public relations and communication strategies to support program goals throughout the entertainment industry. ● Exceptional interpersonal communication, organizational, and writing skills. Compensation: $40,000 per annum as an independent contractor. Expectations: Part-time (20 hours per week) with events and board meetings occasionally on evenings and weekends. Reporting directly to the Board of Directors, AWD’s first Executive Director is expected to take a leadership role in expanding this position into full-time by 2020 with an annual salary to reflect work and accomplishments. AWD is an equal opportunity employer. 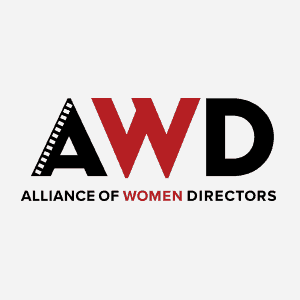 Alliance of Women Directors (AWD) is an inclusive collective of over 250 professional women-identifying directors working together to affect positive, lasting change in the entertainment industry. A relentless advocate for gender parity, AWD believes it is vital that stories are told from all perspectives. Representation matters. ● Partnering with like-minded organizations to increase our reach and impact. Candidates will be reviewed through fall 2018.